As stated before, we take our motto "Service and caring is our profession" very seriously. We are available 24 hours a day, 365 days a year to guide families of all faiths through their necessary arrangements. 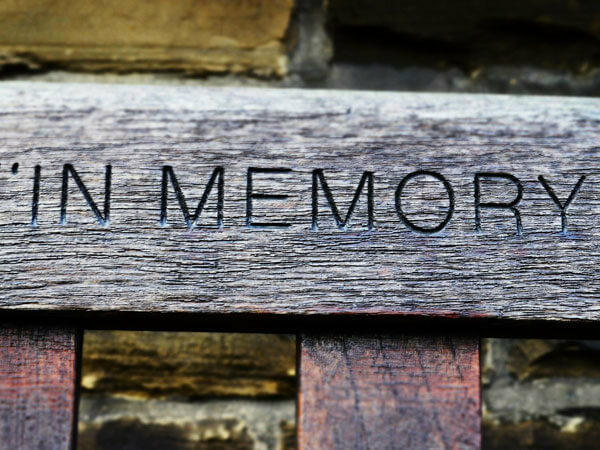 When a death occurs out-of-state or out-of-country, we have the experience needed to handle all of the details for bringing your loved one home. Our funeral home is handicapped accessible with a spacious foyer, two visitation chapels, a dining area and a comfortable arrangement office. At Crawford-Osthus Funeral Chapel, we give you value, choice and options. We offer Wilbert vaults and a complete line of metal and wood caskets as well as urns in many styles and compositions. We welcome questions about our prices and have discount packages available. The goods and services shown below are those we can provide to our customers. You may choose only the items you desire. (However, any funeral arrangements you select will include a charge for our services.) If legal or other requirements mean you must buy items you did not specifically ask for, we will explain in writing on the statement we provide describing the funeral goods and services you selected. This list does not include prices for certain items that you may ask us to buy for your convenience but may be authorized for payment through the funeral home at no additional service charge, such as cemetery or cremation fees, flowers, newspaper notices, music, clergy, certified copies of death certificate, transportation, long distance calls, etc. Transfer of deceased to funeral home including vehicle. Except in special cases, embalming is not required by law. Embalming may be necessary, however, if you select certain funeral arrangements, such as a funeral with viewing. If you do not want embalming, you usually have the right to choose an arrangement which does not require you to pay for it, such as direct cremation or immediate burial. Bathing and dressing, casketing, cosmetic work, restoration, etc. Our fee for the basic services of funeral director and staff includes, but is not limited to staff to respond to initial request or service 24 hours a day, 365 days a year; arrangement conference with family and responsible parties; arrangement of funeral; preparation and filing of necessary authorizations and permits; recording vital statistics; preparation and placement of obituary notice; our aftercare services and coordinating with those providing other portions of the funeral, e.g., cemetery, crematory, vault company and others as required. Also included in this charge are overhead expenses relative to our facilities such as professional licensing, legal and accounting fees, insurance, building and utility expenses, parking lot and grounds, maintenance, taxes, equipment, furnishing, inventory costs, record keeping, and secretarial and administrative expenses. A complete list will be provided at the funeral home. Transfer of the deceased, embalming and professional care, minimum services of staff, motor equipment to point of transportation. This charge does not include the container used for forwarding the deceased, viewing or funeral ceremony, or transportation. Transfer of the deceased to our funeral home, minimum services of staff, transfer of the deceased to cemetery / crematory. This charge does not include viewing, ceremony, merchandise or transportation to our funeral home. Transfer of the deceased, minimum services of staff, supervision of funeral director and staff: for memorial services, necessary authorizations. *The charge for cremation or calcination process itself is not included. *The charge for transportation to crematory is not included. Transfer of the deceased, minimum services of staff, necessary authorizations. If you want to arrange a direct cremation, you can use an unfinished wood box or alternative container. Alternative containers can be made of materials like heavy cardboard or composition materials (with or without an outside covering). You may also select from the caskets we offer. Transfer of the deceased, minimum services of staff, other preparations, transfer to local cemetery. *Viewing or ceremony not included. Our Funeral Home makes no representation or warranties regarding caskets, outer containers, or other funeral goods sold by the funeral home. The only warranties, express or implied, granted in connection with the goods sold with this funeral service are the express written warranties, if any, extended by the manufacturers thereof. No other warranties, express or implied, including warranties of merchantability or fitness for a particular purpose, are extended by Crawford-Osthus Funeral Chapel, LLC. It is our hope that our General Price List has been of help to you. If you have any questions, please feel free to ask anyone associated with Crawford-Osthus Funeral Chapel.